After a successful career at the New York Times, where he won a Pulitzer Prize in 2001 for his contribution to a 10-part series entitled, “How Race Is Lived in America,” the Detroit native returned home and joined the Detroit News in 2008. 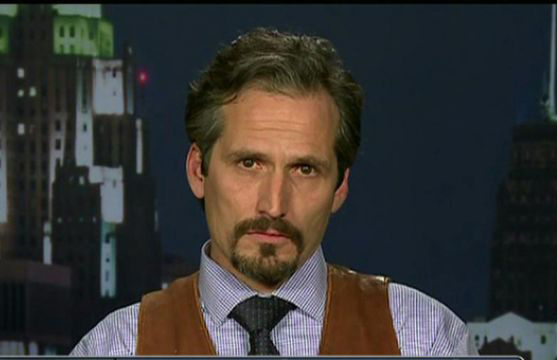 In 2010, the gonzo-style LeDuff joined Fox 2 News and turned television news on its head, revealing serious stories with a twist of the outrageous. He documented slow police response times while taking a bath in a woman’s house while she waited – and waited – for cops to arrive; he pranced around in his underwear in search of pigeons; and he golfed across the length of Detroit to uncover decaying neighborhoods. LeDuff also was a passionate supporter of local firefighters and police, but he made no friends at city hall while uncovering corruption and malfeasance. LeDuff became an instant celebrity in Detroit. It’s unclear what’s next for LeDuff, who couldn’t be reached for comment. My last day with Fox TV and Fox 2 will be Thursday December 1. It has been an insane experience: Detroit, Flint, The Border, Ferguson, Trump, you name it. I thank my bosses and colleagues for all they’ve given and taught me. Especially my partner and friend Matt Phillips who edits and films our work. A talented and courageous man. But mostly I thank you people. I hope we’ve made things a little better for your children and shown you some of the complexities of our community and country. I have no plan for what comes next. But considering the way things are in this world, I think it time to step out and look. I’ll be staying here in Michigan, so I’ll see you around. Stay tuned.